This is just a quick card I made for a friend of mine who is fighting cancer. And she IS winning. The image is from From the Heart Stamps and I think it is just adorable. 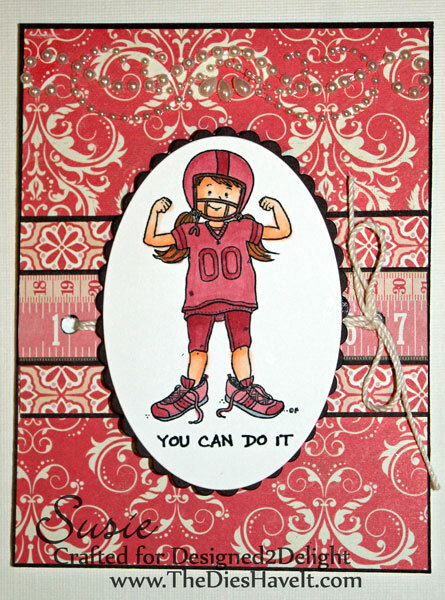 I used Spellbinders dies for the focal image and mat and just trimmed out the other papers behind the mat. If you have a friend who needs encouragement, be sure to brighten her day with a card. You will be glad you did. 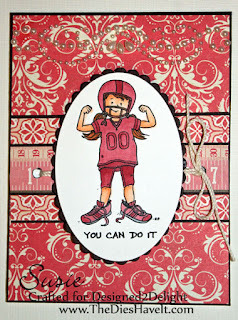 I'll see you tomorrow with a digital layout for the Pink Elephant Challenge Blog.